We are probably all aware that the Government is now promoting 'lifelong learning', but this has always been an aim of Camphill and has belonged to the Village impulse from the beginning. "It (the Camphill Movement) springs from Rudolf Steiner's teaching of a new knowledge of human beings ... to give scope to the fullest development of (a person's) own social and cultural needs..."
In Clanabogan we try to give every person the opportunity to continue to develop his or her skills and abilities through training and further education. Villagers who join us enter one of our work areas according to need and their own interests and abilities. If outdoor work seems appropriate it may be the Farm, Garden or Estate team; if indoor, the Bakery, Weavery, Woodwork or domestic work. Training takes place 'on the job' and each area has an experienced and qualified work coordinator who guides the acquisition of skills. For co-workers there are many areas where training is required, either to enable them to do their work better or to enhance a personal wish or interest. House coordinators and other permanent co-workers, however experienced, have to keep abreast of new approaches and maintain their own enthusiasm. This is achieved through a variety of courses, for example, those run by local Boards and training organisations covering topics such as challenging behaviour and specific disabilities. We also invite in trainers for areas where expertise is needed. Attendance at Camphill and Anthroposophical Courses and Conferences is also important. The attainment of recognised qualifications is something of great value, as we know that with the Government's efforts to protect vulnerable people standards and qualifications are increasingly important. After having worked for years, many villagers develop a renewed interest in learning, either to refresh what was learned in the past, or to acquire new skills. The South West College - Omagh campus can accommodate a great variety of such wishes. Clanabogan is fortunate in being located within its orbit, and a number of people have been attending Adult Basic Education Courses for some time. These include cookery, arts and crafts, computer skills, sport, First Aid and literacy. All these courses, tailored to special needs, have been very much appreciated, both for the content and for the opportunity to mix with other college students. All the tutors have shown a real and warm interest in their students and it is a pleasure to work together with SWC. A social organism will only be healthy and of benefit to its inhabitants when individuals can develop towards their full potential and in turn dedicate the fruits of their abilities to the good of others. 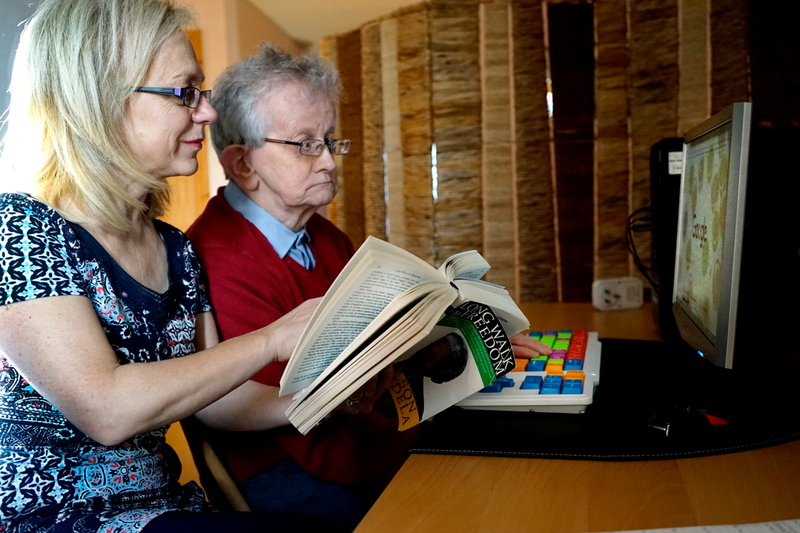 A number of residents receive tuition in Adult Literacy and I.T. skills at home, on a one-to-one basis, from tutors who come into the community. We are committed to upholding this and training in its widest sense will continue to further it.